I want to encourage you to think about your life like one big closet. Imagine walking into a closet with zero structure: bed linens piled up, ponytail holders without a container, makeup here and there. This is what your week and to-lists look like if you don’t put structure around those unruly tasks that can be stressful and overwhelming. The kindest form of self-care is to put those tasks into a container and start to organize them. It reduces anxiety and chaos and gives us soothing structure. Prioritize. This is your Weekly Plan where you will write out your biggest priorities and batch together projects, which is something that Benjamin Franklin did to minimize distractions. Projects. Rather than thinking of your time in tasks, think in projects. 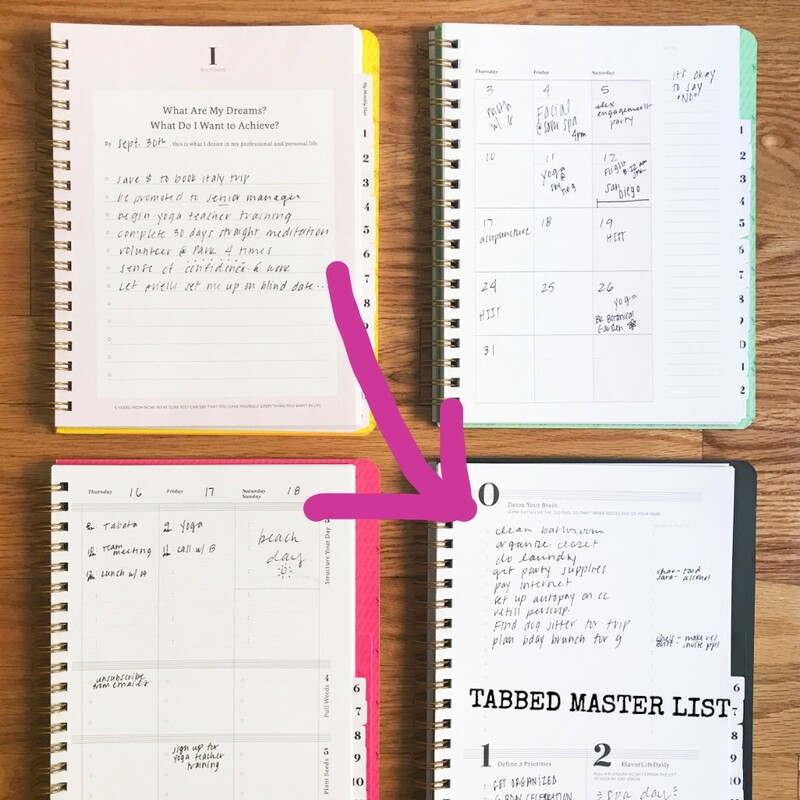 On your "Organize Your Gorgeous Chaos" pages, instead of doing a thousand tiny random tasks throughout the day, create projects like “Emails” or “Party Planning” or “Manager Meeting”. You can dump all ideas, thoughts, and tasks into the right container, just like a well-organized closet. Are you committed to accomplishing your goals? Grab your planner (20% today and tomorrow!) and let's do this together. P.S. Every Sunday at around 5 PM EST, I create a personal post about my journey from self-care to success. Follow me and @savorlifeplanner to get your weekly boost of inspo. A clean slate begins with a clean face, which is why we’ve bundled together our Savor Life Planner and our travel-sized Double-Cleanse Duo for the ultimate "Clean Slate Kit" holiday gift. Start by resetting your outer glow by washing your face with the makeup-melting Coconut Precleanse Oil and gently exfoliating Pearl Cleansing Cream. 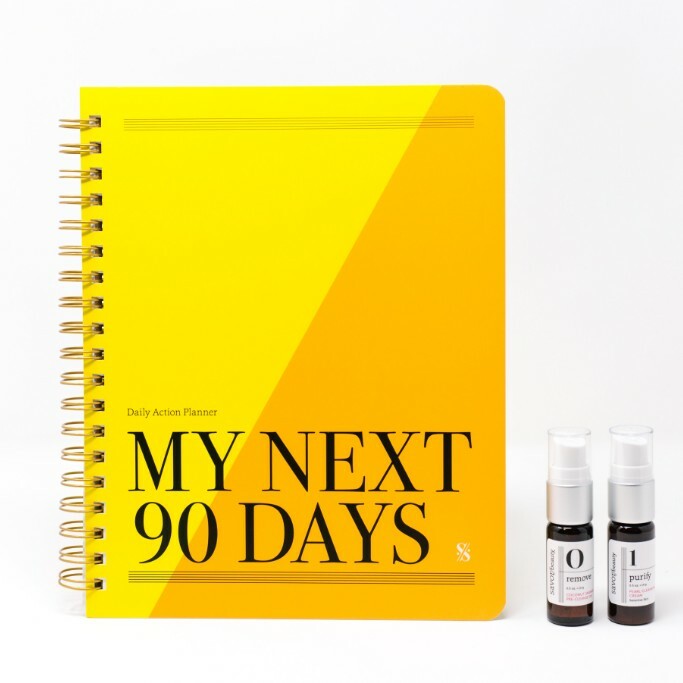 Then nourish your inner glow with the planner’s soulful exercises on everything from crafting a personal mantra to carving out time for holistic, high-vibration living. #selfcaresunday brought to you by @savorbeauty.